Every January, property managers roll up their sleeves and dive head first into year-end reporting for tax preparation purposes. Preparing and issuing year-end statements for clients coincides with the IRS requirement for all taxpayers to issue Form 1099 – Miscellaneous Income to any non-employee vendor or worker that receives more than $600 during the tax year. 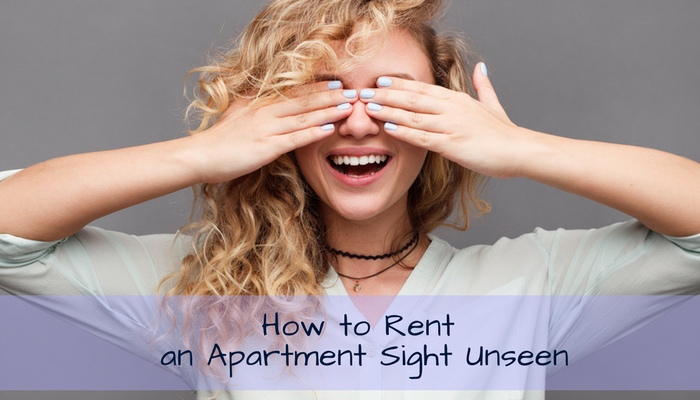 For property managers, rent payments made to property owners also fall under this category, making it necessary to file 1099-MISC for every owner that received rental income payments over $600 throughout the tax year. The IRS sets a strict deadline for submitting 1099-MISC forms to your recipients by February 2, 2015. 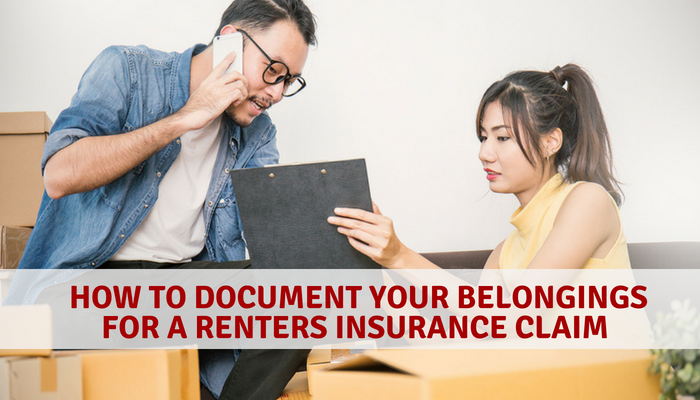 To assist property managers with preparing 1099-MISC forms, Rentec Direct offers e-filing services and a 1099 Tax Assistant that generates easy to read reports. 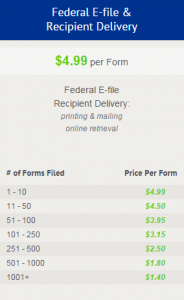 E-filing let’s you submit your 1099 tax documents directly to the IRS and includes mail outs to your recipients. Once you verify that the 1099 Tax Assistant reports contain accurate data, you can review, file and print your 1099-MISC forms by visiting the Setting Tab. Under the Settings Tab, click the Utilities button to find 1099 e-File and Print, which connects you to Nelco to e-File pre-populated 1099-MISC forms. This section also shows the pricing structure for filing tax documents in 2015. 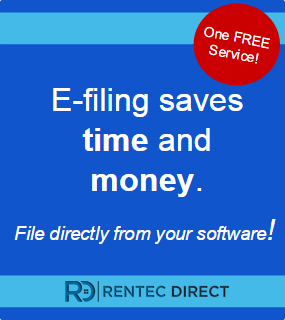 Access your 1099 E-Filing Services under the Settings Tab in Rentec Direct’s software. For the 2015 tax season, Nelco is offering one FREE form 1099-MISC filing with the promotion code BB3. 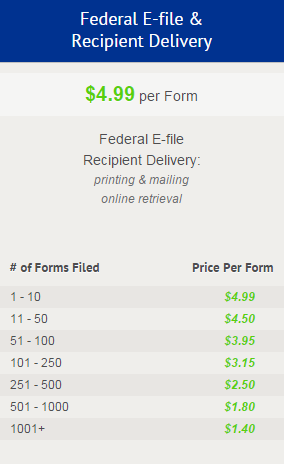 Additional forms after the first free form is regular price. Rentec Direct’s customer support team is always happy to help our clients with any questions and can be reached during normal business hours at (800) 881-5139. And remember, to submit your 1099-MISC forms to recipients by February 2, 2015 to avoid penalties and late fees. To learn more details about filing your 1099-MISC tax documents through Rentec Direct, visit the Knowledge Base under the Need Help button and search for 1099-MISC Electronic Filing and/or Mail-Print Options.